The NRL free cooling chillers contain integrated water coil’s, automated 3 way valves, solenoid valves and custom software which allow the unit to provide maximum energy savings while offering a small footprint. These units operate in 3 modes, cooling only, hybrid free cooling and total free cooling. The hybrid free cooling operates whenever the ambient air is 3°F degrees or lower below the return water temperature. 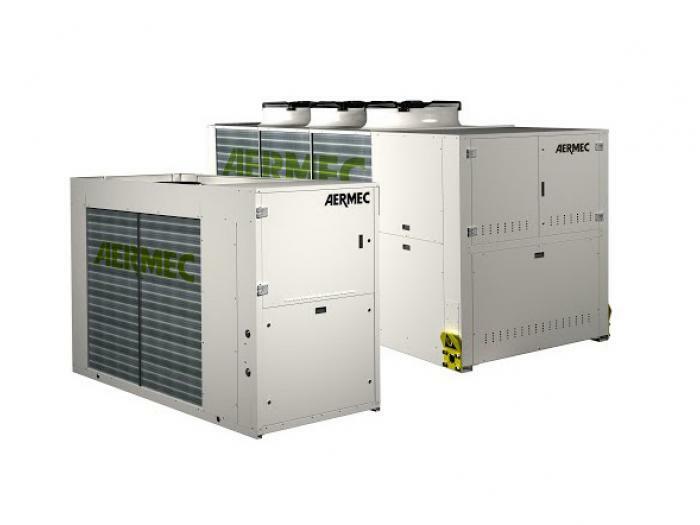 Operating in Hybrid mode with condenser fans at high speed and condensers modulating allows Aermec to provide the most efficient free cooling chillers in the market.